I want to hear his voice one more time. This is the first thought that I had the moment I heard my cousin Danny had died. Danny died unexpectedly in the middle of the night. Danny died before I got the chance to say goodbye. You need to understand how special Danny was. Anytime Danny saw me, he would shout out my name. He would welcome me. He would make me feel like I was the most important person in the world. When I heard Danny died, I wanted to hear his voice one more time. This thought kept going through my head as I drove to the visitation and funeral, I want to hear his voice one more time. At the visitation, a young lady shouted out, “I know I’m not supposed to cry, but I’m sad.” Another person said, “I know that Danny is in a better place, but I want Danny to be here with me.” I agreed, I wanted Danny to be near me, so I could hear his voice one more time. At the funeral, the priest spoke about how special Danny was. He told stories about how Danny made him laugh; he told stories about how Danny was sometimes overly confident. I started to hear Danny’s voice. Sr. Rosemary also spoke at Danny’s funeral. She told us that Danny wanted to be her top assistant. Danny told her that he knew he could help her with all of her responsibilities. I could hear Danny saying that. A family friend got up to speak. He talked about how Danny loved to play games. He talked about how Danny loved to win. He also said Danny sometimes changed the rules if he didn’t win. That sounds like Danny. I know that we were there to say goodbye to Danny, but I kept hearing Danny speak through the words of these people that loved him like I did. Several months have passed since Danny died. I decided to run a race in memory of Danny. While I was preparing for the race, I often imagined Danny cheering for me and I felt him watching over me. 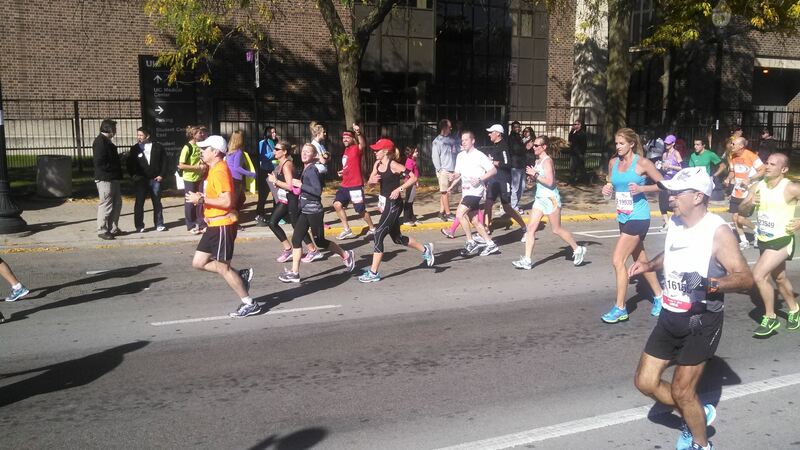 Last weekend, I ran the race in memory of Danny. I wrote his name on my race day shirt. All along the race, people called out Danny’s name. Danny continued to motivate me through others invoking his name. At one point in the race, I was very tired. I started walking and wasn’t sure that I could run any more. A man came from behind me, slapped me on the back and said, “Come on, Danny, you can do this.” This man truly felt like Danny encouraging me directly. I still wish that I could hear Danny’s voice one more time. I still wish Danny was here with me. But mostly, I am thankful for the times that Danny is with me when I hear his voice through the words and actions of others. When asked by a friend to find a story to help her young daughter cope with the loss of a family friend, I was suddenly inspired to write down my own experience of losing my cousin Danny. 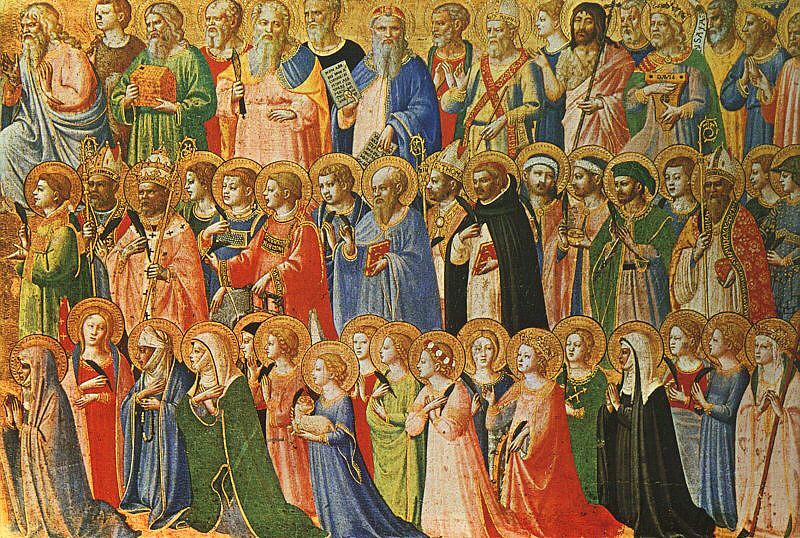 The words you just read poured out on the page and connected me to the Communion of Saints in a tangible way; I had taught my students about the Communion of the Saints in the classroom, but this experience of Danny’s presence truly evoked an experience of the Communion of the Saints. Paul VI, Holemni Hac Liturgia (1968), no. 30, http://www.vatican.va/holy_father/paul_vi/motu_proprio/documents/hf_p-vi_motu-proprio_19680630_credo_en.html. great piece of writing and reflection….sounds like the Disciples after the Crucifixion wanting to hear Jesus’ voice one more time and then realized that they have……in the body of Christ that was all around them…..death has no more sting……just living memories…….do this in memory of me was Danny leading you on in the marathon…..the words become the Word……alive in our hearts.